Cross Country Gloves The best value on the market today! BASE: Cow hide or Goat. Colourful Gloves for rough & tough cross country riding. 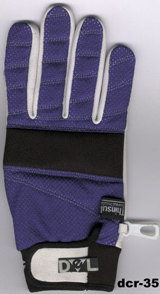 Cross-country gloves made of Microfiber suede palm Foreway + towel back with wrist. 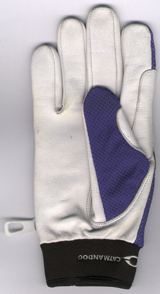 Cross-country gloves made of Microfiber suede palm Foreway + towel back with wrist and extra palmfor grip.